Hands coated with fluorescent - glow in the dark after switching off a light source. 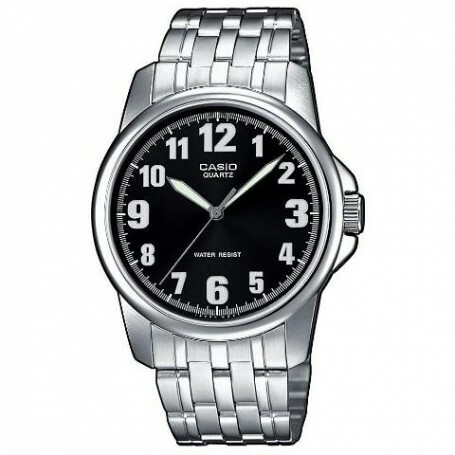 The mineral glass Sturdy and more scratch-resistant, protects the watch against unsightly damage. The battery powers the clock for ca. 3 years. This model is waterproof according to DIN 8310 / ISO 22810, bears and then splashing light.Avoid contact with a larger quantity of water.